Measuring regulators’ performance can strengthen the contribution of regulatory policies to sustainable growth and development. While measuring a regulator’s performance is a fundamental function of a “world class” regulator, it is challenging, starting with the definition of what should be measured and including the attribution of outcomes to regulators’ actions and the availability of robust and evidence-based evaluation methodologies. This review is the first application of an innovative methodology that helps regulators address these challenges and improve the way in which they assess their own performance. The mehtodology puts performance measurement in the wider context of governance arrangements of economic regulators. The review finds a close link between the independence of the regulator and performance. It also stresses the importance of focusing on regulatory tools and processes and measuring their quality to help improve performance. It highlights the need to define clear goals to develop output and outcome indicators that can be actionable and useful for the regulator. 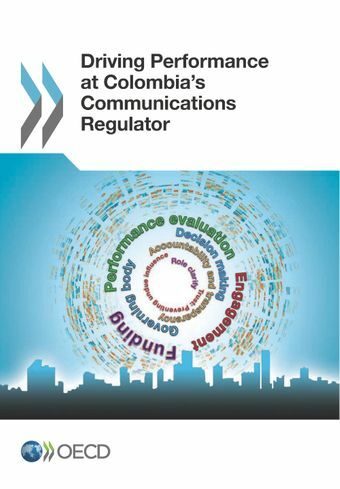 The review provides a roadmap for strengthening performance assessment by Colombia's communications regulator and is expected to help advance the better regulation agenda of other Colombian regulators and economic regulators of OECD members. For more information please contact Faisal Naru and Filippo Cavassini.